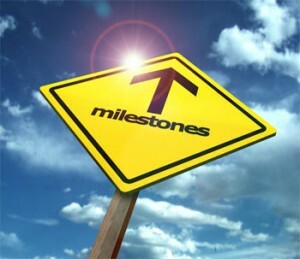 We pass milestones all of our life and it depends on how you view them and use them as experience and learned wisdom. Consider the graduating class of 2013 from the local high school. Speeches by educators and valedictorians about the future and what this august occasion means will often be lost in the excitement of youthful exuberance. How far each graduate still has to go is an unknown because those 18 year-olds have so much more to learn about how the world really works. For the parents, it’s a rite of passage meaning their children are entering the beginnings of adulthood and maybe getting a job or going to college or other endeavors; regardless, it’s a definite change in the fabric of their lives as well as their children. For the graduate, it’s the end of a more structured world in which they have probably felt they’ve had little control; they now perceive a freedom to govern their lives as they’ve pined for, but will soon learn that with this milestone comes new responsibilities, limitations, hard work, disappointments and circumstances they cannot yet imagine. Each birthday, birth and death in the family, anniversary, job promotion, educational achievement and other personal event become an opportunity to reflect, redirect, celebrate, lament or simply enjoy. Milestones, both large and small, public or private, truly measure the distance traveled and keep us grounded into what it means to be a human being. What milestone are you working on?